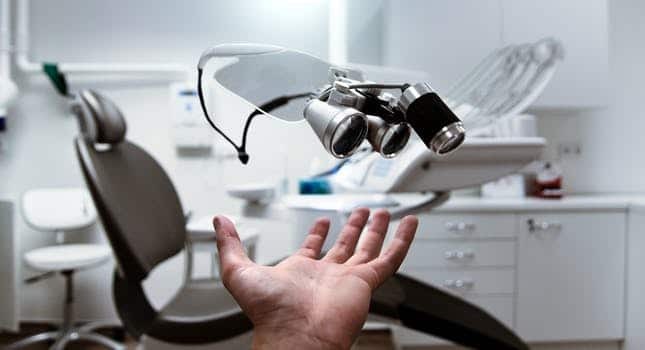 At Glaser Orthodontics our goal is to provide the highest quality orthodontic care and treatment from the most qualified professionals available throughout Cortlandt Manor, Croton-On-Hudson, Jefferson Valley, and surrounding Westchester and Putnam County areas. 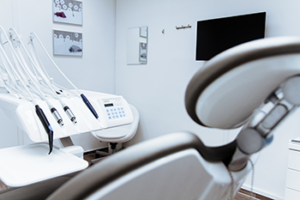 An orthodontist such as Dr. Glaser is a fully qualified dentist who takes on an additional 2-3 years of orthodontic schooling and gains extensive clinical experience in an orthodontic residency program. 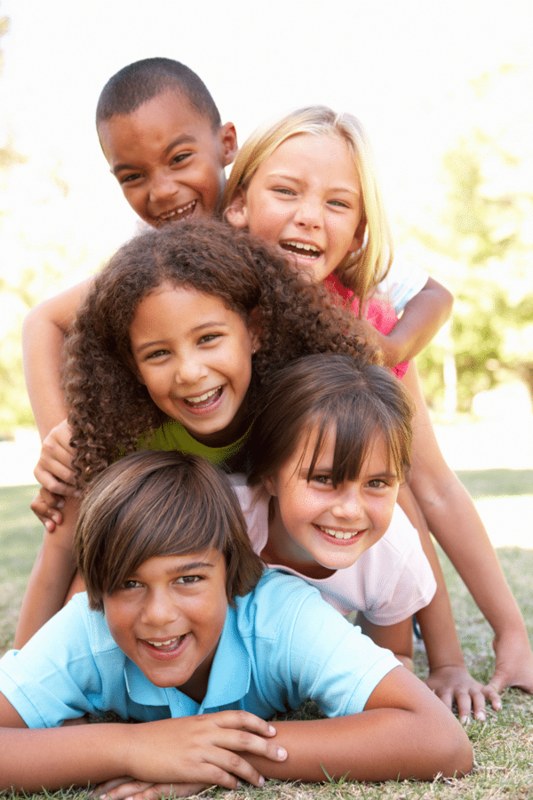 The American Association of Orthodontists is the overseeing body for this branch of elite dentistry. 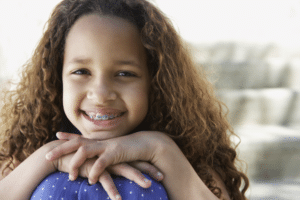 If you or someone you know is in need of orthodontic care or looking to visit with an orthodontist and located in Cortlandt Manor, Jefferson Valley, Mahopac, or surrounding areas of Westchester County NY please contact us today to take a step in the right direction and schedule a visit. Call now (914) 739-6400. Method #1: Some patients like using denture cleaning tablets. While you eat you can soak your aligners in denture cleaner (one aligner per one tablet of denture cleaner). At Glaser Orthodontics, we suggest leaving the aligners in the cleaning product for approximately one hour. 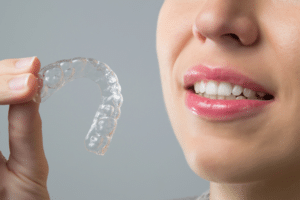 This method of cleaning your Invisalign aligners can be done every day if you want. The denture cleaning tablets will not damage the material that Invisalign uses. Method #2: Use a baking soda product. Dr. Glaser suggests dissolving 1 tablespoon of baking soda in 1/2 cup of water, and then soaking your trays in the baking soda water for about an hour. This method can be repeated throughout the day as you feel needed. Method #3: Brush your aligners with a regular toothbrush and toothpaste, this will help keep them fresh and clean of any particles. 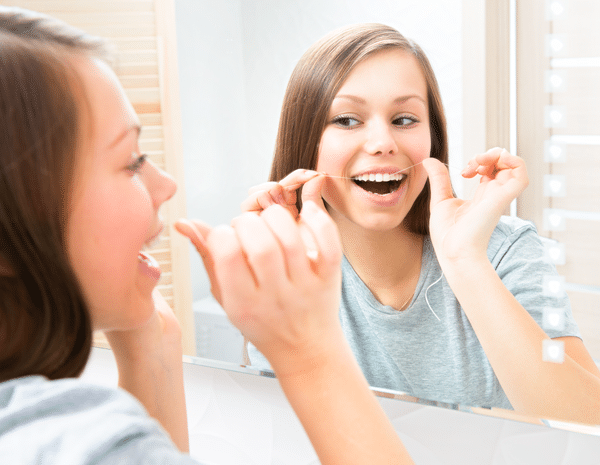 Dr. Glaser also says it’s a good idea to brush your teeth before putting your Invisalign back on. This will keep food particles from being trapped under your aligners. 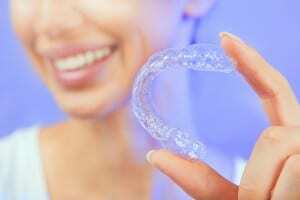 These methods will work for both Invisalign and Invisalign Teen. 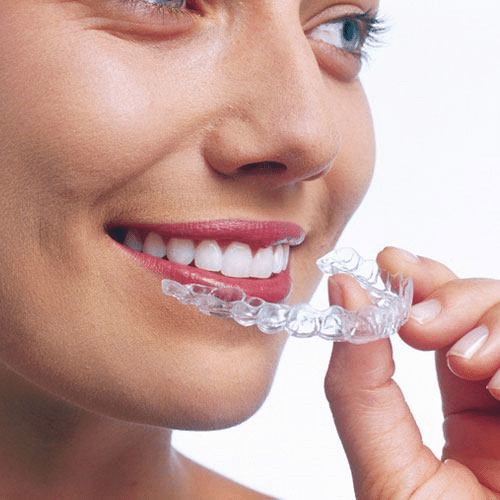 At Glaser Orthodontics, we want to help keep our patients’ Invisalign aligners clean. If you have any questions regarding your Invisalign® care don’t hesitate to give us a call at 914-739-6400. 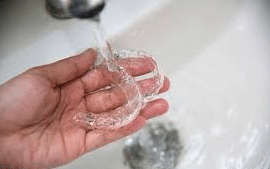 If you are out and unable to use one of these recommended methods, make sure to rinse before putting your aligners back on. 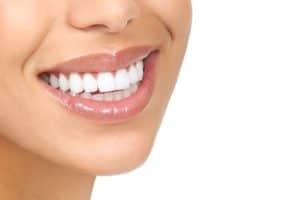 Keep smiling while you straighten your teeth invisibly! 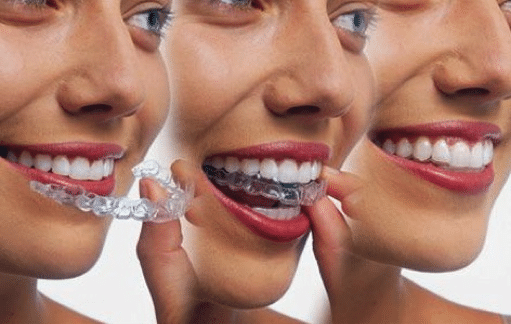 Many adults in Northern Westchester walk into Glaser Orthodontics with the mindset that it’s too late for orthodontic treatment until Dr. Barry J. Glaser assures them that it’s never too late! 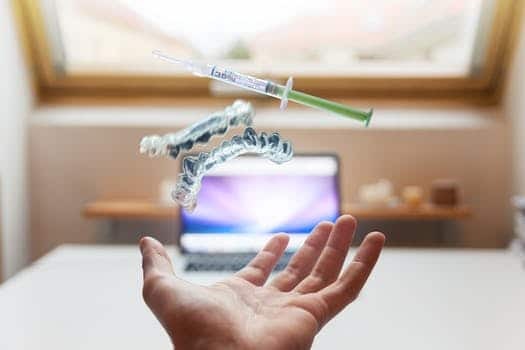 This is why Dr. Glaser offers just as many treatments for his adult patients as he does for his younger patients (i.e., In-Ovation R, In-Ovation C and Invisalign®). 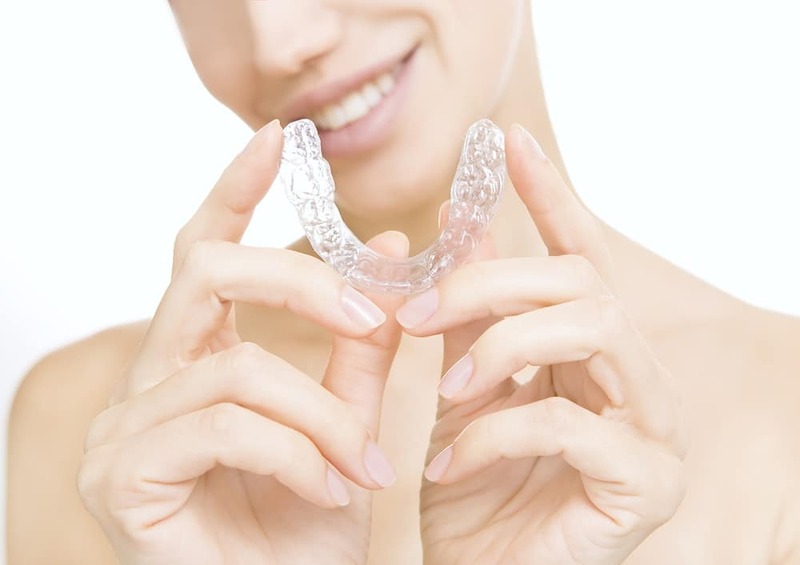 If you or someone you know requires orthodontic treatment don’t wait any longer, contact Dr. Glaser TODAY at 914.739.6400 or visit Glaser Orthodontics when and if you are in the Yorktown Heights, NY area for more information or to schedule your initial consultation.